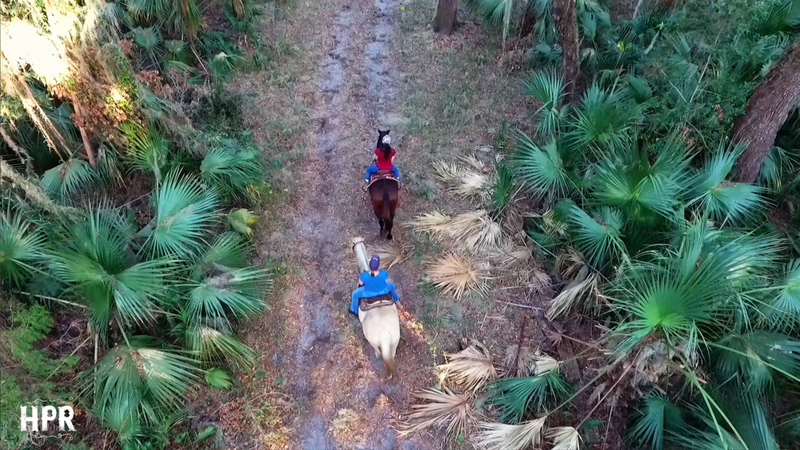 Our trail rides are a one of a kind experience. Just you, your guests, and a guide in the heart of the Lake Jesup Conservation Area. This is a nature lovers paradise. Eagle, osprey and hawk sightings are a common occurrence and on occasion, white tailed deer. 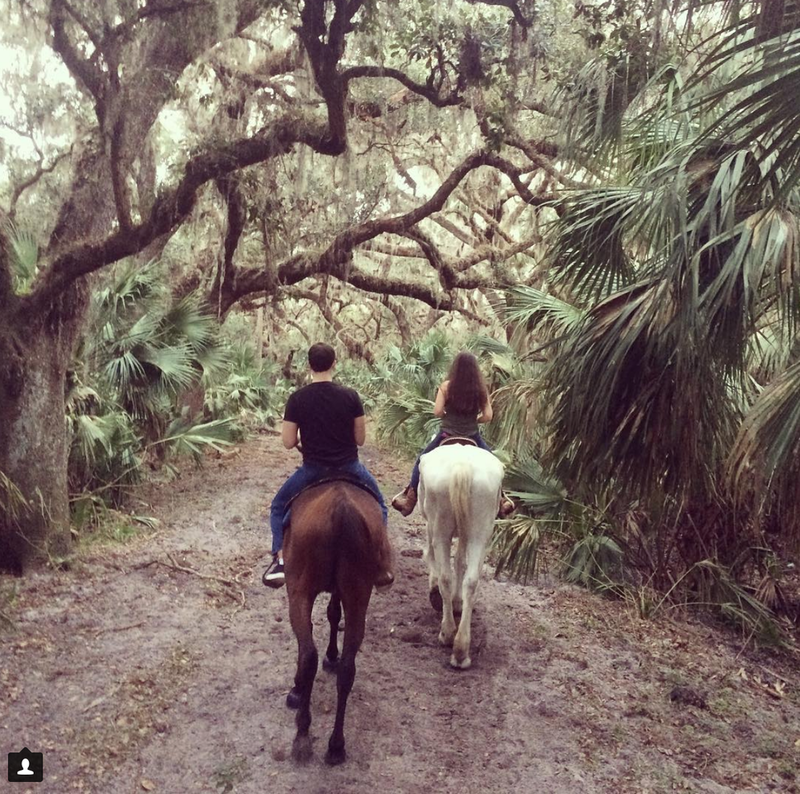 Our knowledgeable guide will take you through one of the prettiest hammocks of ancient live oaks around which opens up to the palm tree lined floodplains of Lake Jesup. 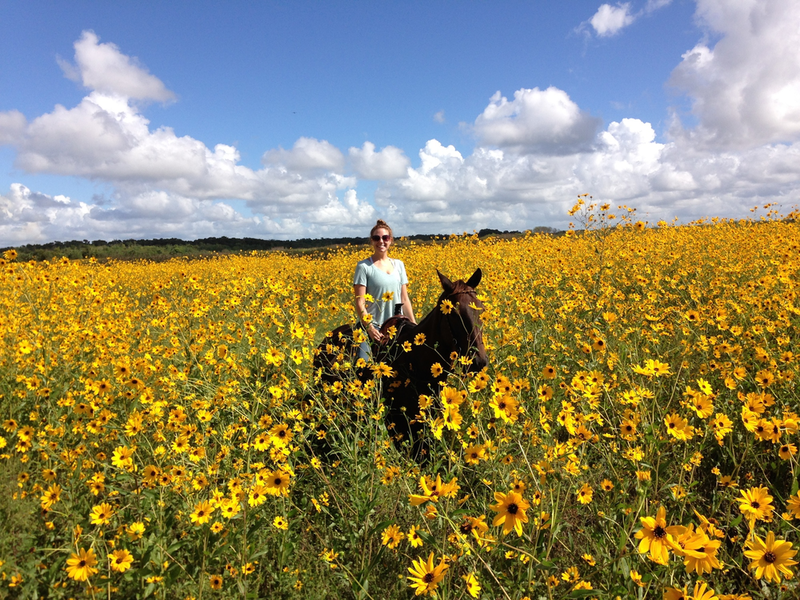 In the late summer the entire area is painted yellow when the wild sunflowers bloom. It is a picture perfect opportunity. There is plenty of time to ask questions and get to know your horse before the ride. We want everyone to feel completely confident on the trail so we'll help you out with riding tips and pointers before we head out. You'll know exactly what to do and how to handle your horse. 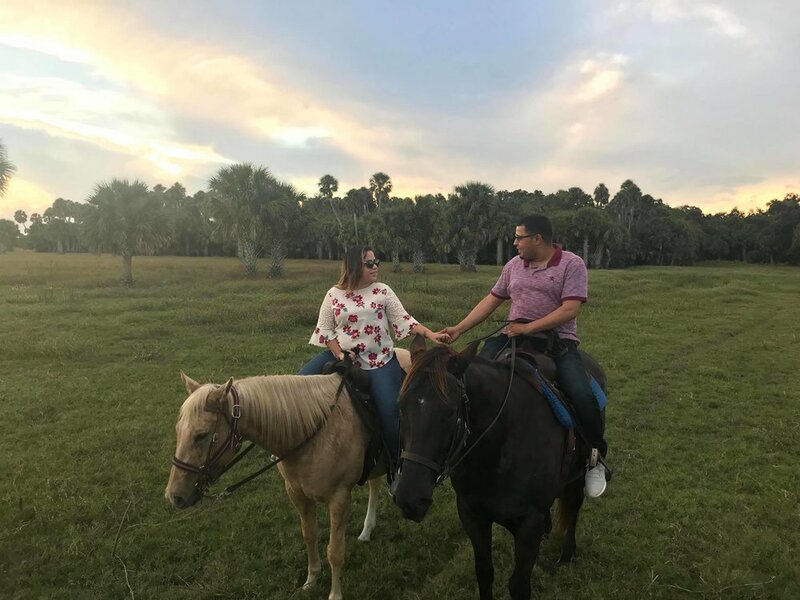 There will also be time after your ride to take pictures and feed your horse a few treats. 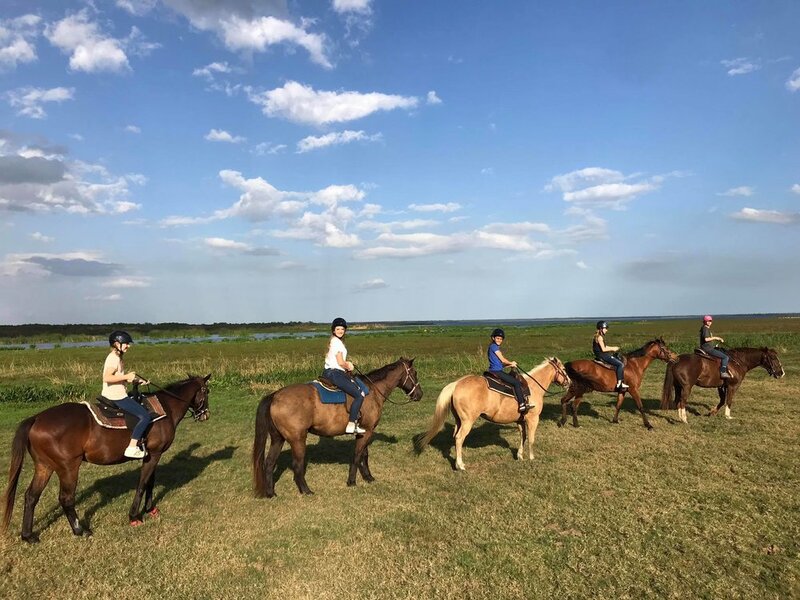 We offer trail rides for up to five riders at a time and a guide. 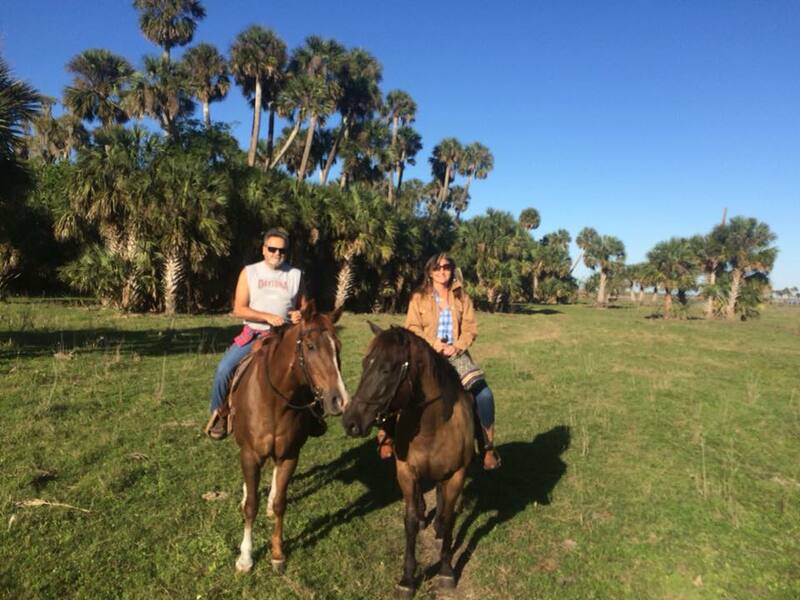 We prefer to take at least two riders out with our guide, but we can accommodate single riders sometimes. Please contact us for availability. 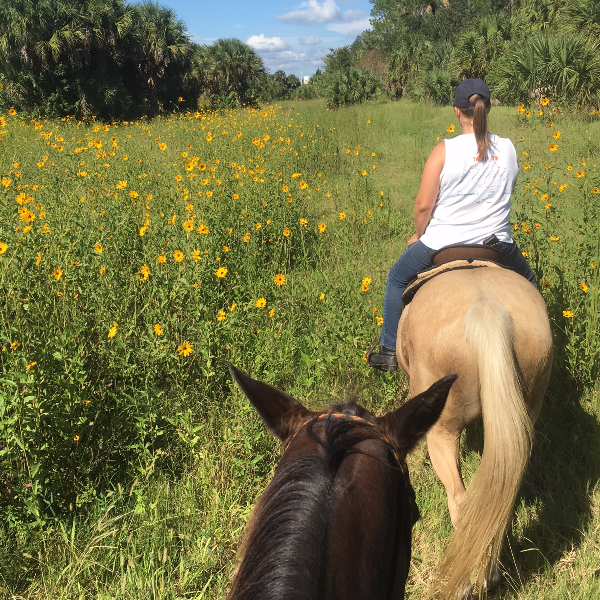 -Private (2 riders/guide) trail rides can be booked for $109/person. 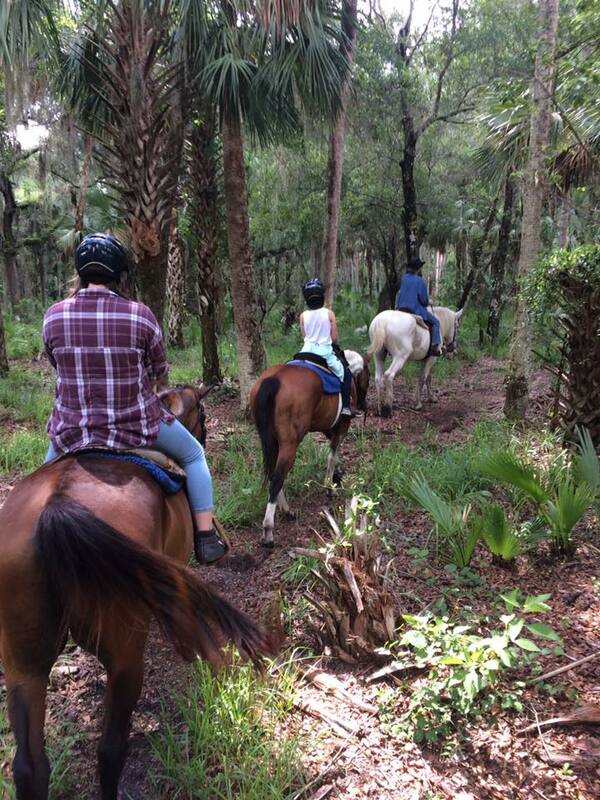 - We offer trail rides for up to 5 people. So, bring a friend or special someone and book together. - $25/person deposit during the reservation. We have a weight limit of 230 lbs to assure the health and safety of our horses.